Welcome to Aurora Veil’s fun guide discussing team composition based on certain themes. I will be breaking down aspects on what makes this a team—its strengths, weaknesses, and overall potential. I’d like to make a disclaimer that I’m by no means an expert of this game, but I do have a lot of fun theory-crafting, which is what this guide is built off of. Now let’s begin. 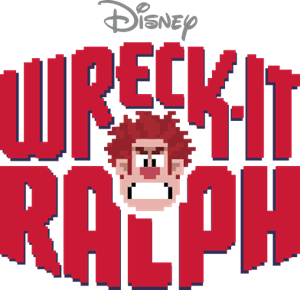 The team in question comprises of characters that appear in the Wreck-it-Ralph franchise. We are talking about Ralph, Vanellope, Felix, Calhoun, and Shank. As characters that came from the same franchise, they are mechanically built to work well off of each other. This team in particular specializes in AOE damage. But as the game continued to evolve, these 5 together have been considered generally inferior to more standard team comps that aren’t bound by aesthetic themes. However, you can still have a lot of fun with this team, especially in non PvP settings. Function: In this team, Felix is actually considered the front-most character. This means the enemy team will primarily focus on him before they can move on to other targets. Felix is your most passive team member, so you lose out on a lot of damage potential for your team. He does make up for it by providing excellent utilities with his skills. He’s the only one in the team to grant healing though his skill “Fix it Felix!”, so he mostly contributes to survival. “Honey Glow” causes attacks to miss more often, which greatly mitigates damage sustained. His active skill deals AOE damage but also stuns, which greatly helps out Ralph in the process. But most importantly, he grants his team extra Skill Power, which makes up for the lack of damage. Felix is susceptible to going down early when faced against a team that frequently causes CC. 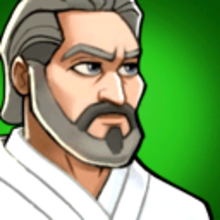 Felix himself has the lowest HP value out of any Tank hero, so if he’s prevented from healing himself, he’s as good as gone. His interesting Frienship Disks either help out his survivability or contributes more CC. For PvP, Frozone’s disk is the superior choice since healing isn’t an urgent aspect in such a setting. However, Ralph’s disk greatly enhances his performance in City Watch, Invasion, and even Elite Campaigns, where you should be more inclined to keep him alive for as long as possible. Luckily, his teammates have skills that directly and indirectly improve Felix’s lasting power. Overall, he is arguably the least consistent member of your team. While he provides a ton of utility, he ironically puts himself in the most dangerous position. This naturally limits his effectiveness, but for as long as he survives, the team will continue to reap the benefits of his defensively-inclined skills. 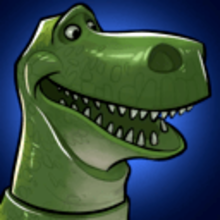 Function: As the team lacks a true Control hero, Ralph is actually the one to mainly fills that gap. Ralph is capable of inflicting stuns frequently and silence occasionally. Thus, his main function is to provide his teammates as much freedom to act freely and as often as possible. Ralph’s stuns buys Felix the extra time necessary to heal. Ralph also heals himself at low HP, which slightly relieves Felix from his healing duties. Be aware that Ralph deals below-average damage though. His frequent stuns can somewhat alleviate this issue, but he is relying on the rest of his team to exploit the openings he provides. His Friendship Disk with Vanellope is the primary choice for PvP. The extra stun time he does is always useful in every scenario. Even outside of PvP, Ralph gets a lot of mileage from Vanellope’s disk. However, you can choose to switch to Jack Sparrow’s disk, which becomes more valuable in non-PvP modes. Ralph being able to heal himself more often will greatly help out Felix. Ralph is likely your most consistent Tank. His CC’s generate a lot of momentum for the team, and is the very foundation of your team’s offensive strats. Function: Oh look, another Tank! Shank is the third hero in this lineup, and she completes the triple-Tank wall that forms the defensive core of this team. With just slightly more HP than Felix or Ralph, the highest Armor growth in the game, and her passive that cuts down the damage she takes by a margin, Shank is by far the toughest hero in this composition. She’s doesn’t just offer impressive durability, she’s also capable of high burst damage potential. Her passive from “Final Lap” allows her to store the damage she negated (up to a certain amount) and add all of it as extra power for her White Skill. And don’t worry—even when has reached the maximum amount of damage she can add to her “Final Lap”, she will still continue to cancel damage (but can no longer add damage beyond her limit). Another great asset she provides is “Toughen Up”, which grants the whole team more skill power when she goes below 50% of her HP. If she manages to stay alive just long enough to activate it, your team just might have the power to turn things around at the last moment. The boost in skill power is especially beneficial to Ralph, Vanellope, and herself. Her “Piston Slam” gives Shank her own form of self-healing as well. So with all 3 tanks capable of self-heals, Felix can more freely provide healing to Calhoun and Vanellope, neither of whom can heal for themselves. Elastigirl’s disk is generally more useful as it lets Shank unleash greater power with her Final Lap. However, if you feel that your team requires more survival, then Vanellope’s disk can be considered. Shank has insane armor growth, so sharing that with the rest of her team further amplifies its defensive core. 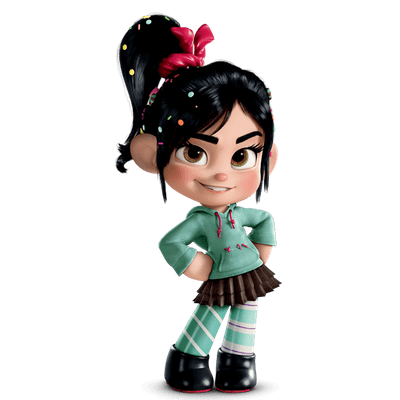 Function: Vanellope is a rather controversial part of this team. She’s often considered outclassed by other characters who can fill the same niche but with greater effect. Despite this, Vanellope is really not a bad character, just outclassed. With no Mid-line hero in this team, Vanellope finds herself in a pretty good position at the far back. 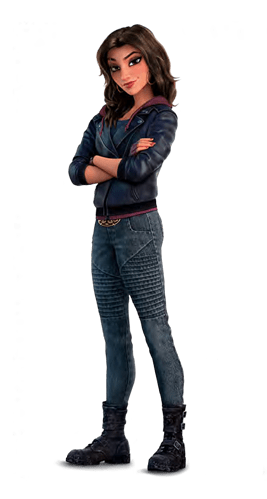 She fills a very important role in this composition as the most consistent Fantastic damage dealer. Between her and Calhoun, there’s really nothing they can’t hurt. And while it’s true that Vanellope is weak on her own, she’s more dangerous with the help of her teammates. Remember that Felix already gave her more skill power with his “Power of Positivity” to begin with, and that improves ALL of her skills. Shank’s “Toughen Up” further bolsters Vanellope’s damage potential in more dire situations as well. Before you know it, Vanellope may wipe out everything off the map with all these damage modifiers enhancing her performance. The most important thing that Vanellope contributes is she has the most consistent AOE attacks in this team. Her Lolipop Slammer can do decent AOE damage and even allows her evade attacks for a short time. “Sharing is Caring” is what makes her dangerous though, as it gives ALL of her attacks splash damage. You should ignore Dash’s disk, as it can only be useful when Vanellope has slowed targets to hit. Her “Soda Geyser” can slow enemies, sure, but the effects don’t last long enough to make it worth while. Merida’s disk is superior in all other cases. It further improves Vanellope’s skill power, which you will ALWAYS want, and it allows Vanellope to snipe a dangerous back-line hero early in a match. Function: Calhoun shares the back-line with Vanellope and is positioned as the farthest back. This means she will targeted by skills that are specific to the “farthest enemy”. This is attributed to just how dangerous she really is, and therefore greatly benefits from the protection of 3 tanks. 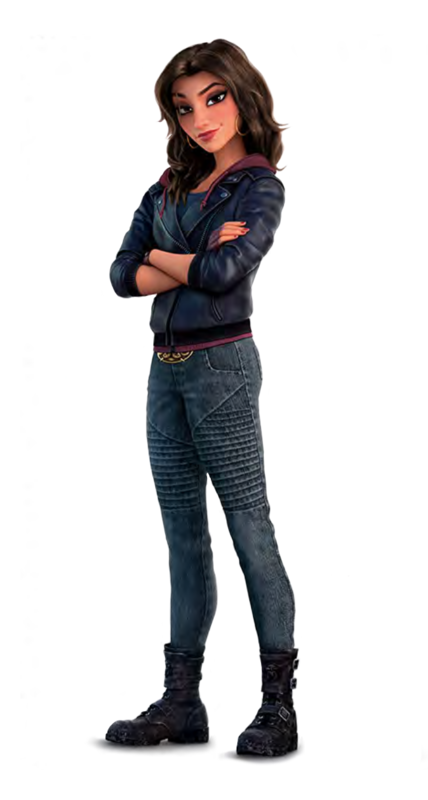 Much of the damage over the long run will be done by her and Vanellope. 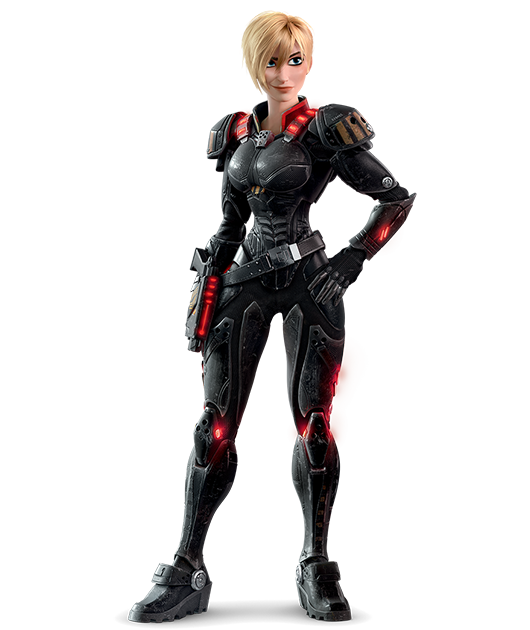 In contrast to Vanellope, Calhoun specializes in Normal damage and she can spread it all over the screen. “Dynamite Gal” in particular combos well with Vanellope’s “Minty Fresh” and the skill power boosts from Felix and Shank, threatening to cause serious damage to the enemy back-line when left unchecked. Her Laser Blast doesn’t actually do a lot of damage at the beginning, but becomes more powerful should any of her teammates go down. This is the hidden comeback mechanic that lies within this themed team. Should things start to fall apart, Calhoun might just gain the power necessary to turn things around. Calhoun’s biggest contribution though, is her ability to provide her team with long-lasting shields at the start of every fight. This is made possible through her Friendship Disk with Violet, which you should invest in as much as you can. The shields greatly enhances the effectiveness of a triple-tank line-up. Not only that, shields also gain energy as they get damaged, so her allies can safely build up energy without sacrificing much of their HP. In almost every situation, Violet’s disk should be the go-to. However, in non-PvP modes, you can also make great use of Felix’s disk. Felix’s disk gives increased Basic damage, which Calhoun greatly enjoys. 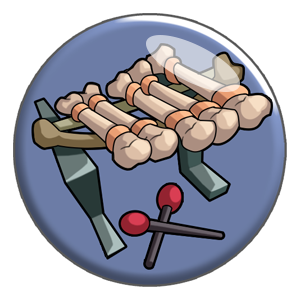 It also increases energy gained in general, which further bolsters this team’s specialization of AOE damage. 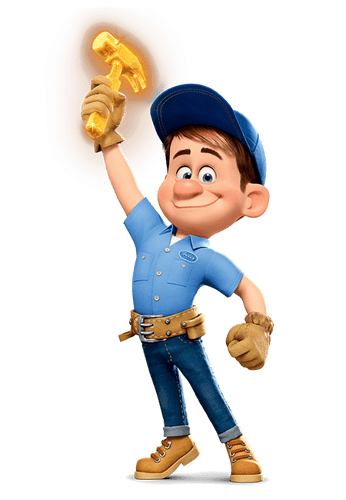 Here we highlight certain characters who can replace specific members of the Wreck-it-Ralph team while still keeping most of the core characters. This is to help overcome certain situations that can be more easily tackled when switching out a member for someone else. Elsa: Replace Vanellope with Elsa. While Elsa doesn’t have quite as much AOE consistency as Vanellope, she excels everywhere else. In addition to the freezes she can inflict, her biggest contribution is her disk with Olaf. 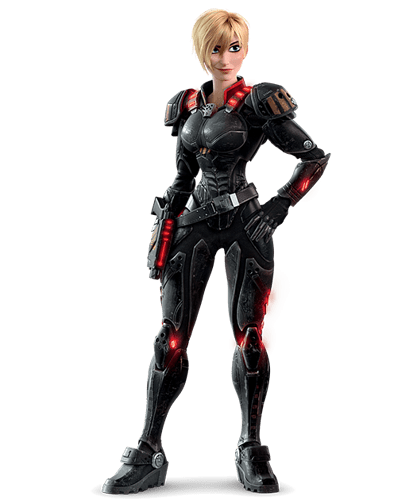 She provides shields for your triple-tank front-line and it stacks with Calhoun’s shields. Kevin: Replace Felix with Kevin. The idea here is to provide your whole team more Reality through Kevin’s Purple skill and stack that with Shank’s Vanellope disk to make the team extremely durable. Note that you forfeit Felix’s “Power of Positivity” and Shank’s higher damage through Elastigirl’s disk. Merida: Replace Calhoun with Merida. You give up Calhoun’s shields in exchange for Merida’s higher damage. Merida’s “Pride of the Clan” can prove to be an even deadlier comeback mechanic. 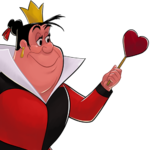 The Queen of Hearts: Replace Shank with The Queen of Hearts. The Queen of Hearts is a deadly tank that can potentially save her team from charms. Her “Card Shuffle” also provides stuns, which combos well with Ralph and Felix. Alice: Replace Felix with Alice. You give up the triple-tank frontline for a triple backline. 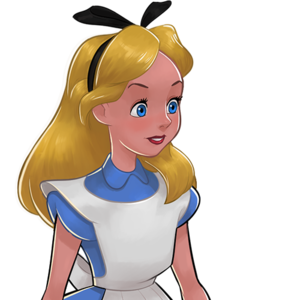 Alice can provide the team with incredible speed support early on in the fight. When she uses “Eat Me” she can clean up with severe damage contribution. Note that you can now also consider using Dash’s disk for Vanellope this time. 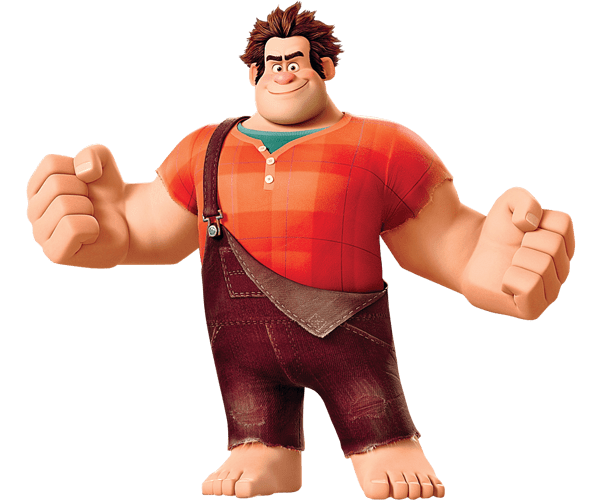 Here we highlight characters that can pose a serious threat to the Wreck-it-Ralph composition. 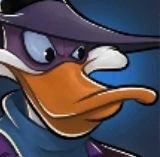 Darkwing Duck: Darkwing is an absolute menace to this team. He will be able to bypass your 3 tanks to take out Vanellope and Calhoun very easily. His disk with Nick will also tear apart Calhoun’s shields in no time. 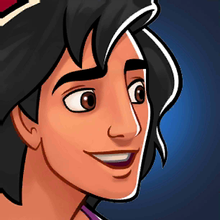 Aladdin: Similarly to Darkwing, Aladdin flies over your tanks at the beginning of the match. He is a very slippery target with his high evasion and will give your back line a lot of trouble. Rex: Rex will make very quick work of Calhoun’s shields. His White Skill also forces the gap between your tanks and backline to become closer. This puts Vanellope and Calhoun in more danger. 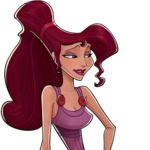 Megara: Meg charms the 3 closest targets in front of her, which happens to be your 3 tanks! Turning your tanks against Vanellope and Calhoun will completely dismantle your composition. 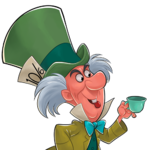 The Mad Hatter: He can also charm 3 targets and can even tear apart Shank’s armor. His immunity to debuffs make him an extreme treat that’s difficult to take down. 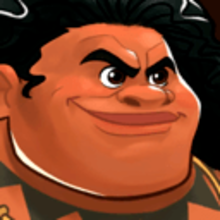 Maui: Not only does he improve the durability of his team, his bite is also dangerous. Assuming he is paired with Mickey, his “Shark Bite” can cleave through your tanks in no time. His “Take Flight” also forces pushback, which is highly disruptive to your team’s composition while also making himself untargetable. 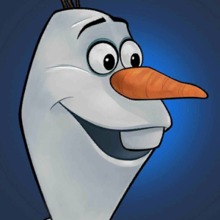 Olaf: With your 3 tanks so close together, Olaf will effortlessly immobilize your frontline, leaving your team full of openings to be helplessly attacked. Self-heal, evasion, and even self-revive will make him almost impossible to take down. 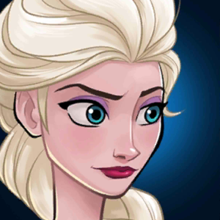 Also commonly accompanied by Elsa, who greatly benefits from Olaf’s freezes and slows. 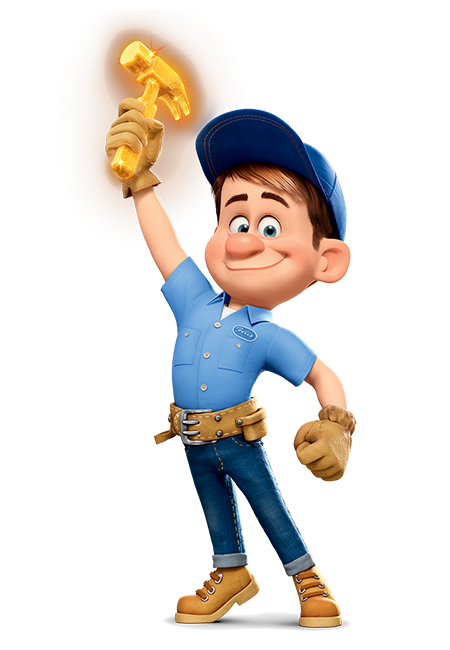 The Wreck-It Ralph team could be difficult. The team has three tanks and Ralph gets KOed easily. Plus two damage heroes and almost everybody doesn’t want to use Vanellope. So Calhoun is the only best thing among them. I don’t know Shank and Felix can be the team’s healer if he can survive long. But maybe the best players could use this team smoothly. Edit: I want to add that finnick is severely underrated. I used to use him frequently and he’s actually really good. I have a guild mate who has been using bogo from day 1 even when the rest of us were using sulley. He is incredible. Hmm… can you please explain further? Because I think the Wreck-It Ralph team can hold longer because of the three tanks but no win guarantee. You can win, you have three tanks and three damage units, cause shank doubles as a tank and damage. Plus Felix with his frozone disk is great control/support he can freeze any enemy who’s positioned forward in the lineup (usually tanks, and the dreaded jack sparrow) and heal allies. Ralph’s great with the stun and vanellope’s great at fantastic splash damage and can slow down enemies. Calhoun with the violet disk is great support/damage . All in all if their skills are upgraded they can be a good, complete team. Oh, okay. Thank you for that info. I now clearly understand their techniques. We don’t have Shank in our server so I didn’t know anything about her. It would work yes. But it would not hold up against certain metas. 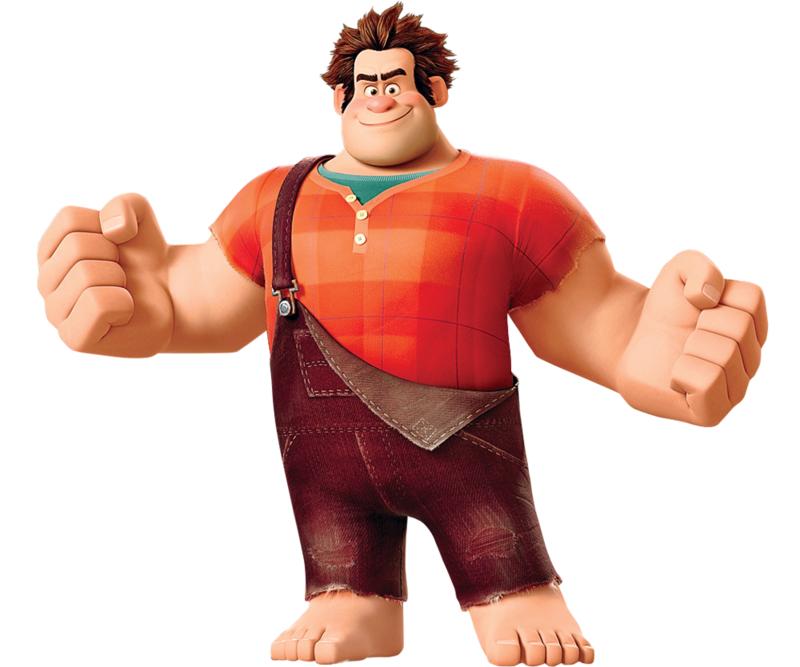 Take freeze for example …shank is the only wreck it Ralph character who is able to withstand freeze. The others freeze very easily. With disks like Olafs on a freeze team causing extra damage, this team would die in a heart beat. And then there’s support characters like woody who gain either extra energy or give damage bonus to their allies. I have a guild mate who has been using bogo from day 1 even when the rest of us were using sulley. He is incredible. Bogo with Mr incredible disk is hard to beat. Is that the Bogo that wins through timeout? I really want to try that one! I will make Bogo the last cow standing. I’d like to remind y’all that this is meant to be a fun team. This is more so a guide of what to expect should you decide to form a team of these characters together. Edited: added analysis of Shank.